Hawai‘i's rare, endangered and extinct birds are featured both in wildlife footage and in the artwork of Ipo Nihipali. 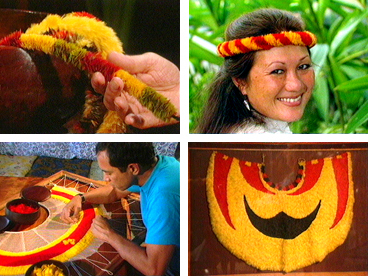 Dennis Kanae Keawe makes a feather cape and Mary Lou Kekuewa demonstrates the construction of kāhili. Sarah Kawailima sews a lei hulu, or feather lei. Hālau ‘o Mililani, led by kumu hula Mililani Allen, dances a hula that tells the story of the ‘ō‘ō bird, captured for its beautiful yellow feathers and then set free.